Schöfferhofer Grapefruit Beer Packaging Redesign — Serena Chen. Schöfferhofer Weizen offers an urban, trend-conscious alternative. It was the first wheat beer in Germany to be brewed outside Bavaria, embracing a modern lifestyle over the dusty regional customs that previously dominated the world of wheat beer. It also has numerous award-winning and innovative flavor variations. Schöfferhofer Grapefruit, the sparkling, original tangy outrageously new taste combining Hefeweizen beer and grapefruit juice that has become the next big thing among the young, urban crowd. In the same spirit as the original intention, the new packaging presents the combination of tradition and new age by using simple shapes, inspired by German contemporary style and the Bauhaus. The use of color comes from the German flag—black, red, and yellow, as well as colors associated with the Bauhaus movement. The illustration will also guide the audiences to find out which flavor the beer is. 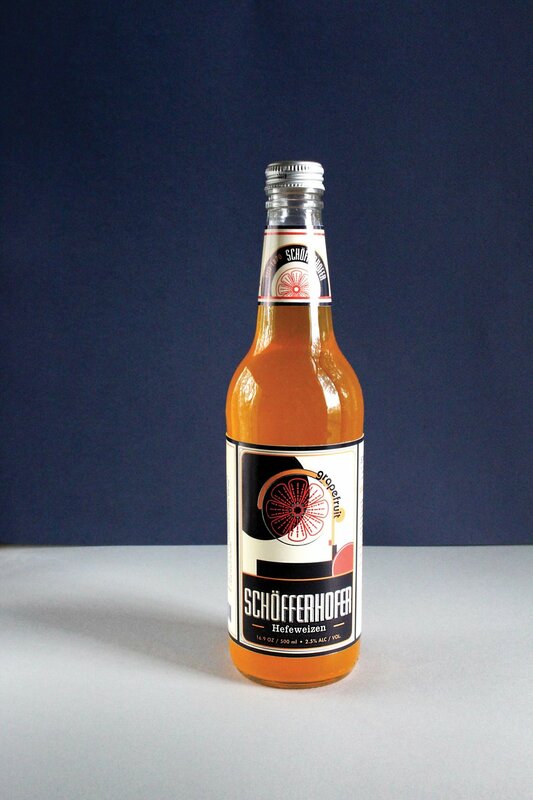 Schöfferhofer Grapefruit Beer Packaging Redesign is featured at Packaging of the World. Click HERE for visit the site.